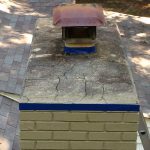 Does your chimney have a cap to prevent rain, birds and other critters from getting inside your chimney? Is your chimney ready for fall? Haven’t had it swept in years? Do you have cracks in the crown that may cause water penetration? 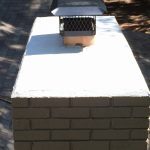 Does your chimney have a cap to prevent rain, birds and other critters from getting inside your chimney? Proper chimney maintenance is as important as having your HVAC system serviced on a regular basis. Having it swept on a regular basis reduces creosote buildup which can lead to unpleasant odors and more importantly reduce the risk of fire! It’s also an opportunity to identify any other potential issues that may be cause for concern. Water is another issue, especially after the recent hurricane. The chimney crown (top of the chimney), is designed to make the water roll off the top and down the sides. If you have cracks, the water can penetrate and seep into the brick, and over time cause significant damage. Chimney caps are also another important part to proper chimney maintenance. First, they prevent a significant amount of water from entering the opening at the top of a chimney. Just think if you had a one-foot square hole in the top of your roof? Second, they prevent birds, squirrels, and other critters from getting down inside your chimney. In the case of birds, some are federally protected and can’t be touched until the active nest is empty. Third, the cap acts as a “spark arrestor,” which helps reduce floating embers from landing on the roof or dry brush on the ground.